Now that the weather is starting to improve, you might be thinking about sporting a pair of flip-flops the next time you head outside. While flip-flops are convenient and comfortable, they can actually damage your feet if you wear them too often. Everyday flip-flop use can contribute to the development of conditions like plantar fasciitis, tendinitis, and shin splints. Flip-flops that are too small for your feet might give you blisters or leave you susceptible to other infections. On the other hand, flip-flops that are too big can cause you to slip and fall while you walk. Because flip-flops are relatively weak and do not provide the same amount of support as sneakers, people who wear flip-flops are more vulnerable to injuries caused by dropped objects or being stepped on. The nature and style of the shoe also leave your feet more prone to other issues, like cuts or fungal infections. The best way to avoid these injuries is to wear flip-flops that support and protect your feet. In general, foot care experts believe that properly-fitting sneakers are the best option for your feet. 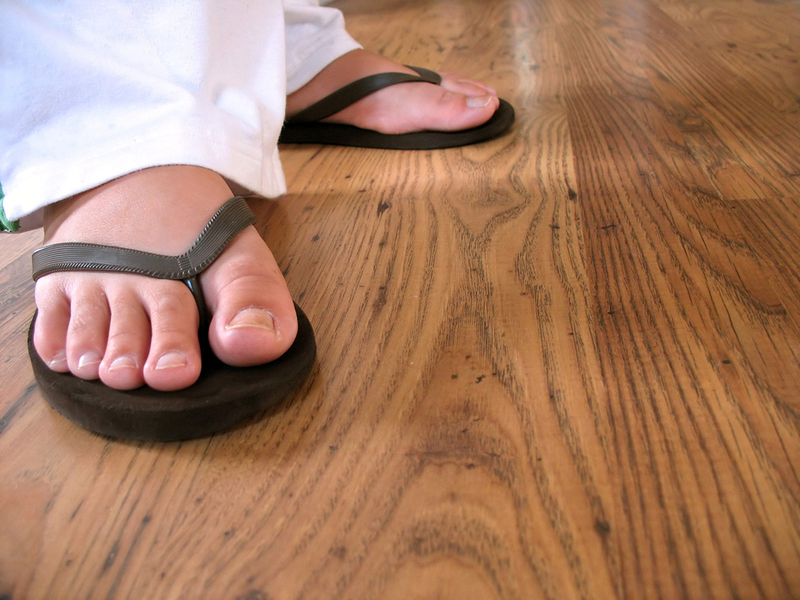 If you do suffer any flip-flop related injuries or conditions this Spring/Summer, set up a consultation with Dr. Mark Wolpa at Bay Area Foot & Laser Podiatry Group. He and his experienced team will help diagnose and treat your flip-flop related injury. You can click here to request an appointment online. You can also call (510) 849-3800 to reach our Berkeley, CA office or (925) 937-2222 for our Walnut Creek, CA office.